Muslim lawsuit prompts Indian court to order Facebook and Google to remove ‘anti-religious’ content — 1389 Blog - Counterjihad! If this censorship takes effect, it would apply to everyone using Google Blogger, Google Orkut, Google+, Yahoo, Facebook, YouTube, and the other sites mentioned, whether residing in India or not. Social websites including Google and Facebook have been ordered by an Indian court to remove all ‘anti-religious’ and ‘anti-social’ content within six weeks. The order will raise serious questions about how users’ posts and opinions will be edited, censorship and freedom of expression. Representatives of Yahoo India Pvt Ltd and Microsoft told the court that they had not got copies of the order and complaint against them, but Qasmi’s counsel told the court that he would supply the relevant documents to them, according to the Hindustan Times. India Today quoted him as saying: ‘There were some demeaning, degrading, clearly pornographic depictions of gods and goddesses which no reasonable, sensible person anywhere in the world would accept, on any site. The minister insisted he was not smothering free speech but was suggesting screening possible ‘incendiary’ material. The Hindu Times reported Facebook India, Facebook, Google India Pvt Ltd, Google Orkut, Youtube, Blogspot, Microsoft India Pvt Ltd, Microsoft, Zombie Time, Exboii, Boardreader, IMC India, My Lot, Shyni Blog and Topix were all given the order. A Google spokesperson told the website: ‘We comply with valid court orders wherever possible, consistent with our long standing policy. Dear God, are the Muslims going to restrict comment on their so-called religion so that no-ne in the world can see what a false demonic cult it is? Are we on this earth going to lose the capacity to question and analyze? This ideology and these people will drag us back to the stone age if something isn’t done. So will India now censor speech that is critical of the islamogenocide against Hindus? The country is mostly Hindu, not muslim, so it will be sad to see Indian people’s right to defend their right to not be murdered curtailed. Grist for the “UN control of the Internet” mill? Has herr minister ever read the ko-ran? They take everything from everyone! What is the difference? The indians are also disgusting tyrants, whenever they have socalled power. The islamics are also disgusting tyrants whenever they have socalled power. I don’t think you are familiar enough with the history of the area to make that claim. The difference is that India is not predominantly Muslim and therefore is not inherently totalitarian and expansionist. By and large, they have not sought to impose the standards and mores of Hinduism on the rest of the world. I don’t like to be treated shabbily by anyone whehter they are hindu or islam or any other ideology. Hindus and other typs of indians have treated me most shabbily too. That is why I know what I am talking about. The facts is too many indians are moslems/islamic and they are totalitarians tyrants, similar to islamic tyrants though not exaclty like islamic ideology . I am from asia and I know what I am talking about and I fed up with being treated shabbily by those moaning intolerant asians whatever ideology they are from. India is indeed a problematic place and they are known to be bullies whether they are moslems/islamics, hindus or whatever. They have to sort out their own infighting. they are alot of welathy indians. so why don’t they sove their own community poverty problems first instead of bullying other races. Even if indian hindus or of other faith or nonfaith are not as totalitarian as indians moslems, they are still expanding their too many unpleasant culture to the west. I think you may have some personal disputes with various individuals from the subcontinent that are beyond the scope of the matters that we address on this blog. 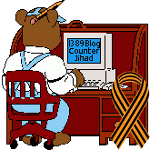 This blog focuses on the counterjihad and, to some extent, on other hard news matters such as elections and the economy, primarily as they relate to the counterjihad. This is not the place to debate the relative merits of various non-Muslim races, ethnic groups, or cultures. Such arguments draw negative attention, arouse anger, and take the focus off the counterjihad. I think you are not looking at the broad picture. I think it is wrong to support any country that don’t respect freedom of speech or presonal rights. furthermore, non-moslems, whatever ethnic background they are, who supported (blatantly or subtlely) moslems extremist intolerant agenda are just as bad as moslems, even though they are not called moslems. Please understand that I am NOT supporting the actions of this judge or of the government of India in capitulating to the demands of Muslims to censor the Internet. That said, there is no cause to make a blanket condemnation of India and of Hindus or non-religious Indians and their culture. Our governments in the West are equally to blame for capitulating to Muslim demands, and there is a multitude of examples of this. Also please understand my opposition to anyone or any group is not due to personal disputes as you implied. I analysed it from a wide perspective. If a certain culture or certain group (whether they are of islam of not) are noted to be consisting of mostly of manipulative unreasonable eastern bullies that is continuosly damaging to our survival, freedom, decency, economy, jobs, etc, it is only right that one speak out against it. Allal allows only one voice !! WHAT A perfect example of talking out of both sides of your face. IF you are going to label speech ‘incendiary’ which means any words or speech that critisize Islam , then shut up about free speech.